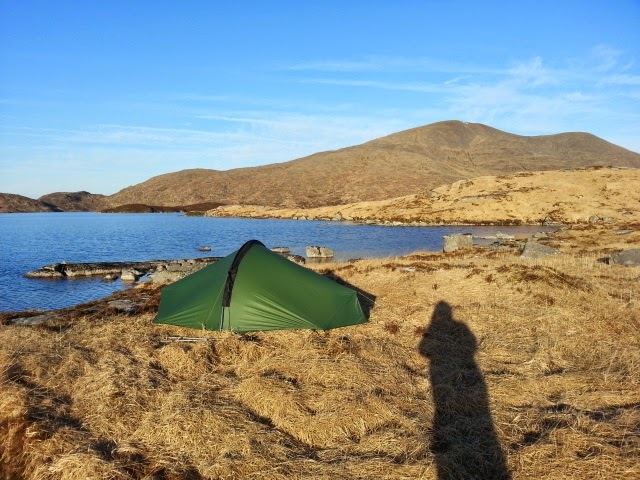 Here's a photo of last night's scenic camp by Loch Enoch in the Galloway Hills. I had a good afternoon walk-in yesterday over the granite hill of Craignaw in the sunshine. Today I'm heading up Mullwharchar and then east to the Rhinns of Kells.